Wind turbines and other slender buildings are prone to low-frequency vibrations with large amplitudes. The excitation forces are caused by Karman vortices, waves or other harmonic and stochastic phenomena during the operation of wind turbines. The resulting vibrations are dominated by the first and second tower eigenmode. 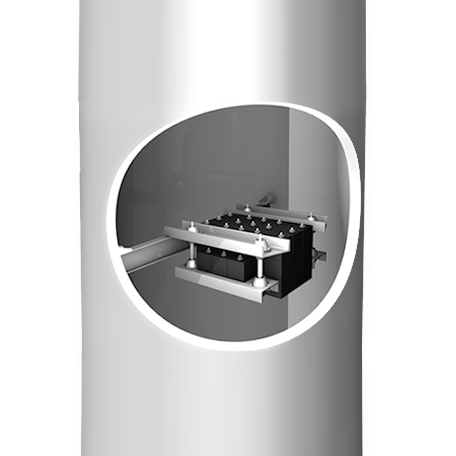 ESM provides different types of tuned mass dampers to prevent these harmonic vibrations in towers. For the first tower eigenmode, pendulum-based tuned mass dampers are the easiest way of eliminating undesired vibrations. 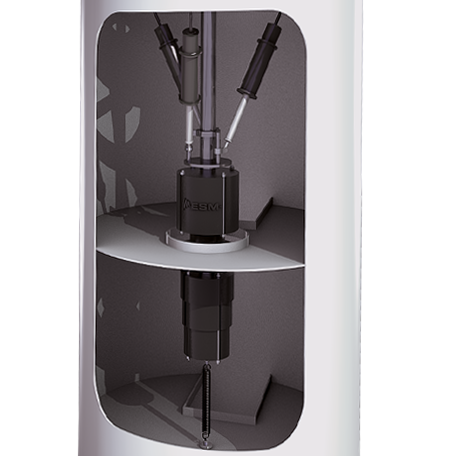 The mass, frequency and damping of the mechanical pendulum are designed for each specific tower application. There is also the option of tuning the TMD on-site to the specific tower frequency. The properties of different damping technologies are not affected by temperature changes. The frequency range of first tower eigenmodes is 0.15–0.3Hz. ESM pendulum dampers can also be used to prevent undesired vibrations of the second tower eigenmode (1–3Hz). 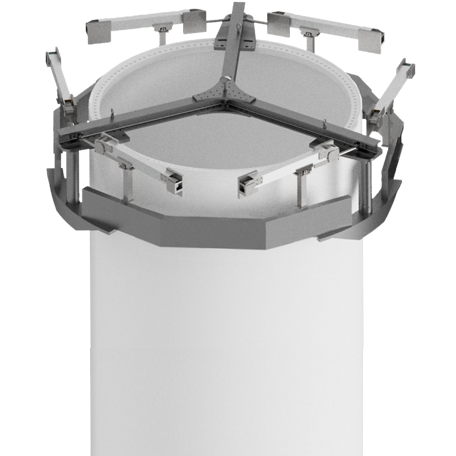 ESM uses pendulum tuned mass dampers that are compact and can easily be connected to the tower. The TMD system includes a damping device that uses elastomer damping or other damping principles unaffected by temperature. Damping can be incorporated into the pendulum joint by means of elastomer elements. When wind turbines are being erected, the damping effect of the blades is missing. Accordingly, wind and wave excitation may cause extreme vibrations in the installed tower that need to be prevented. Installation TMDs made by ESM reduce the vibration levels for the different installation phases of the towerand allow more flexibility when planning the erection of wind turbines. ESM installation TMDs are self-supporting, separate structures with damping unaffected by temperature. ESM has developed a type of tuned mass damper called a rolling mass damper – also known as a rolling mass absorber (RMA) – that can reduce tower vibrations with relatively low mass. It consists of a mass, a flywheel, a damping device, and a rail on which the mass moves. 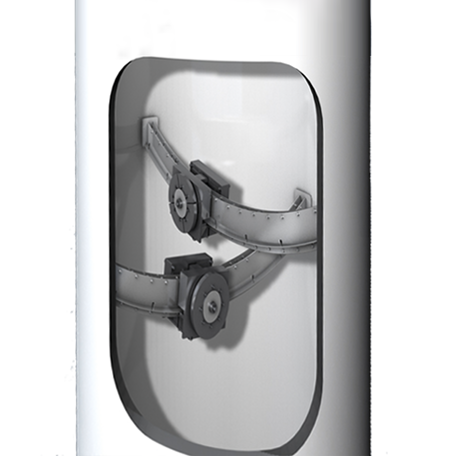 Due to its compact design, the RMA can be installed at very high positions in the wind turbine and even retrofitted in the nacelle. For the first tower eigenmode, ideally the RMA should be positioned inside or on top of the nacelle. Good positions can also be found within the tower. Depending on the tower excitation and the available space, one or two RMAs per wind turbine are required. The frequency and damping of the RMA can easily be tuned on-site.